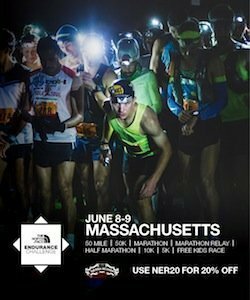 Featuring a flat, scenic and certified barnburner of a course though Boston’s Back Bay, the BAA 10K to be held this this June 21 originated with 3,656 entries in 2011. For 2015 the field size has been expanded to 10,000 (from 7,887 in 2014). Early registration began at the Boston Marathon adidas RunBase store in Tuesday, May 5 and online registration opened on Wednesday, May 6. With the opening of RunBase on Boylston St. prior to this year’s Boston Marathon, 10K registrants will be supported by a number of free clinics at the store, including training programs, group runs and race week promotions. In the 2014 BAA 10K, Kenya’s Stephen Sambu outsped former Boston Marathon winner Geoffrey Mutai to claim victory in a world leading time of 27:25. En route he set a US All Comers record for 8K at 22:02. Not to be outdone, countrywoman Mamitu Daska upended Kim Smith’s event record with a world leading time of 31:04. Both champions received a check for $10,000 out of a total prize purse of 48,000 that reached 10-deep overall, and included the top 3 40+ male and female finishers and the top-3 push rim athletes.Daska received an additional $7,500 for the course record. The BAA 5K on April 18 saw 8.892 runners cross the finish line on Charles St. by Boston’s Public Garden.